Ok, let’s get started. 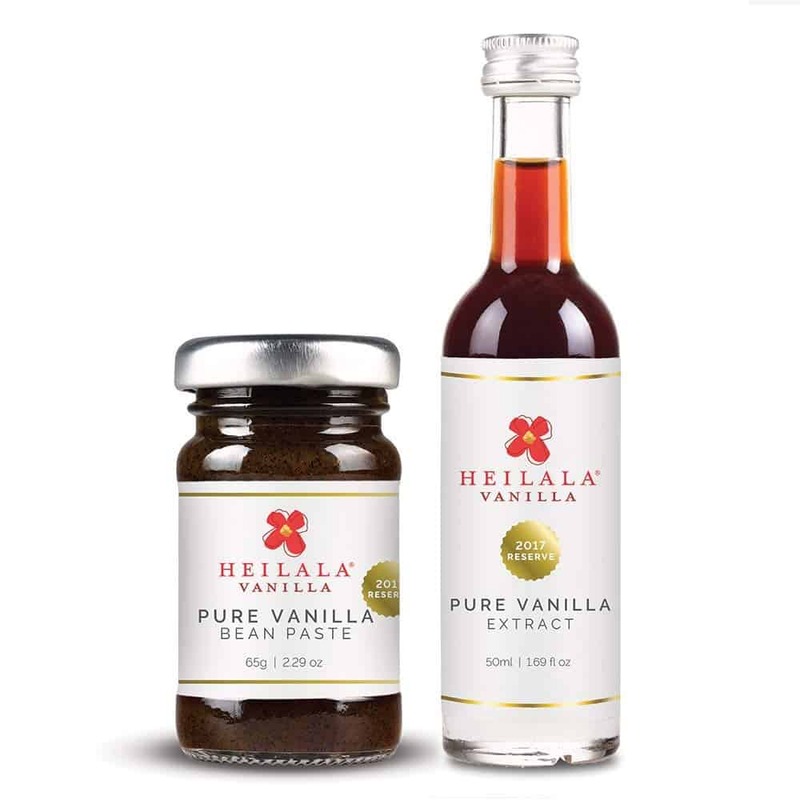 These gift ideas are in no particular order. Just scroll on through and see what catches your eye. I’ve listed each idea in bold, then added a picture with a link under it for purchasing. 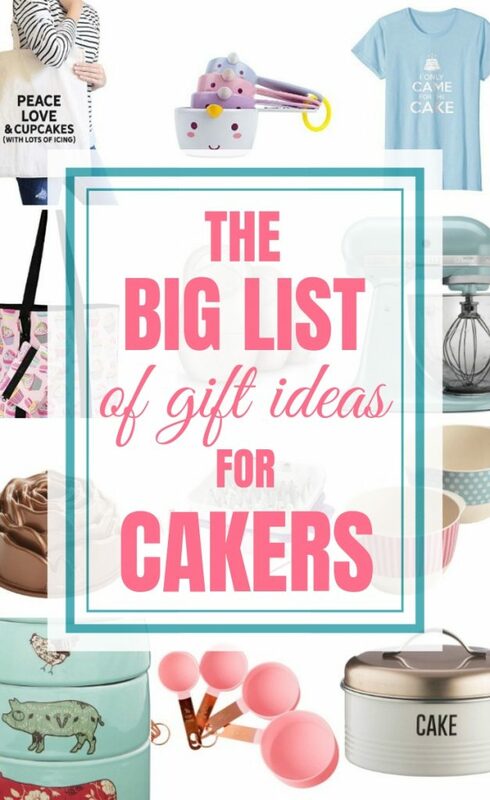 This is something that a caker may not really buy for themselves, so I think that makes it the perfect gift. 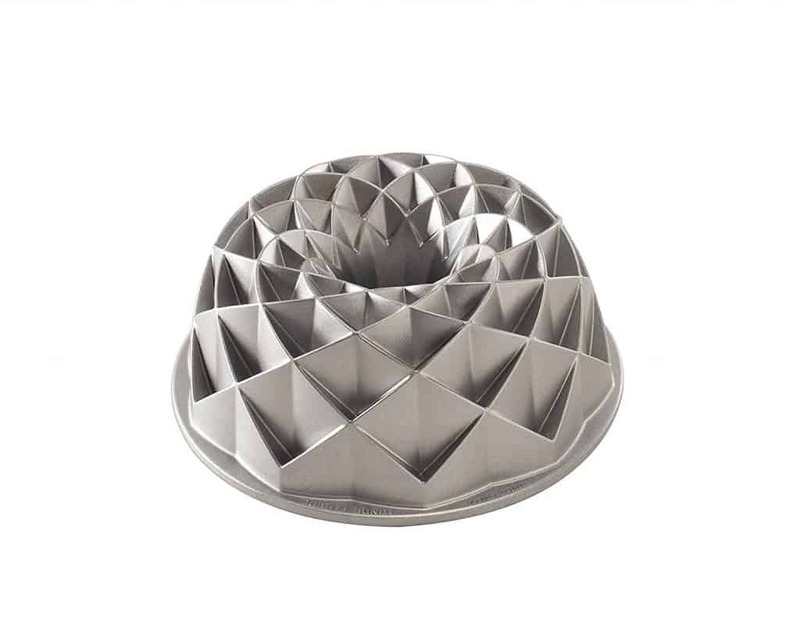 I just have your average bundt pan, but I’d love to get a much fancier one. 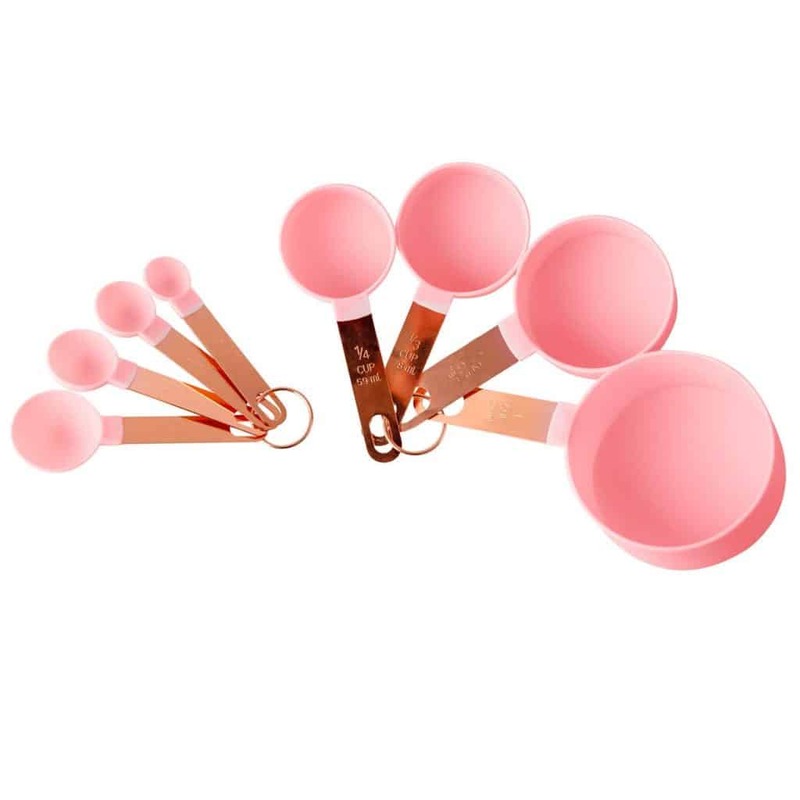 You could even fill it with wooden spoons, rubber spatulas, measuring spoons, pot holders or a dishtowel. Tie a bow around it and that would be a wonderful gift to receive. Ok this one is the queen of caker gifts right here. 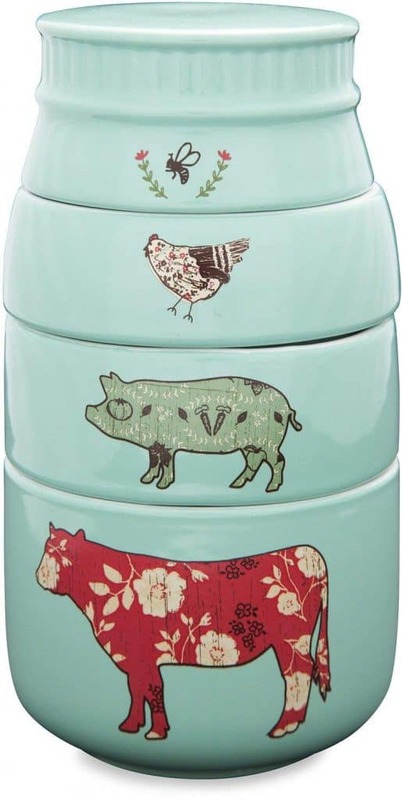 There are different versions of these with varying price points from the classic series on up. 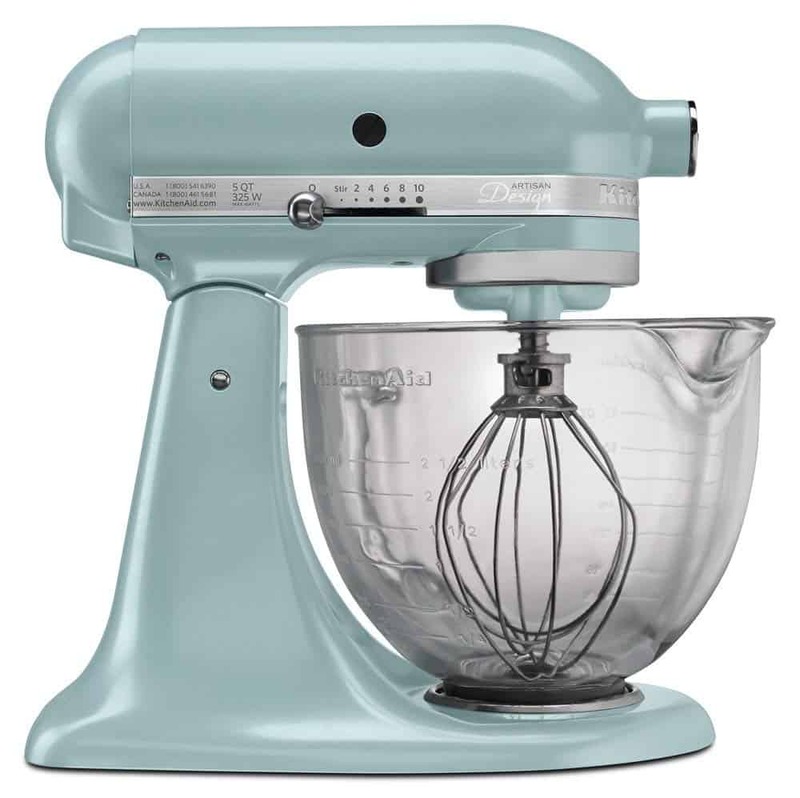 I have a red classic KitchenAid Mixer and I love it, but I REALLY want one of those fancy gold ones. 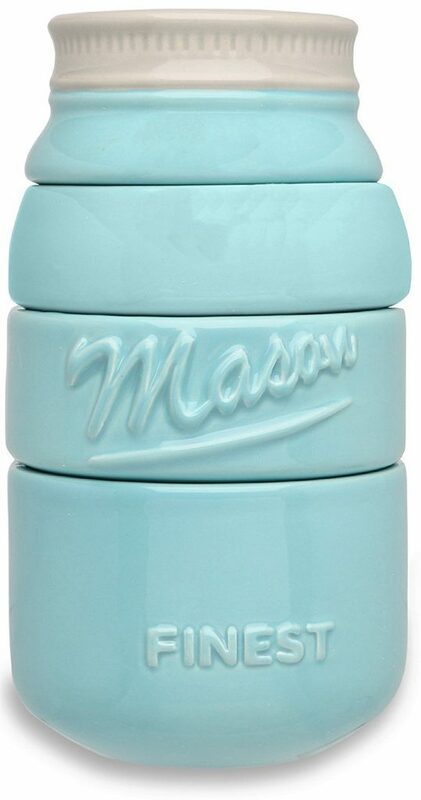 If you’ll be purchasing a mixer for someone, why not just go all out and get them some good attachments. Now, some of them come with a set of attachments, but I’m going to suggest a couple that won’t be in that set. 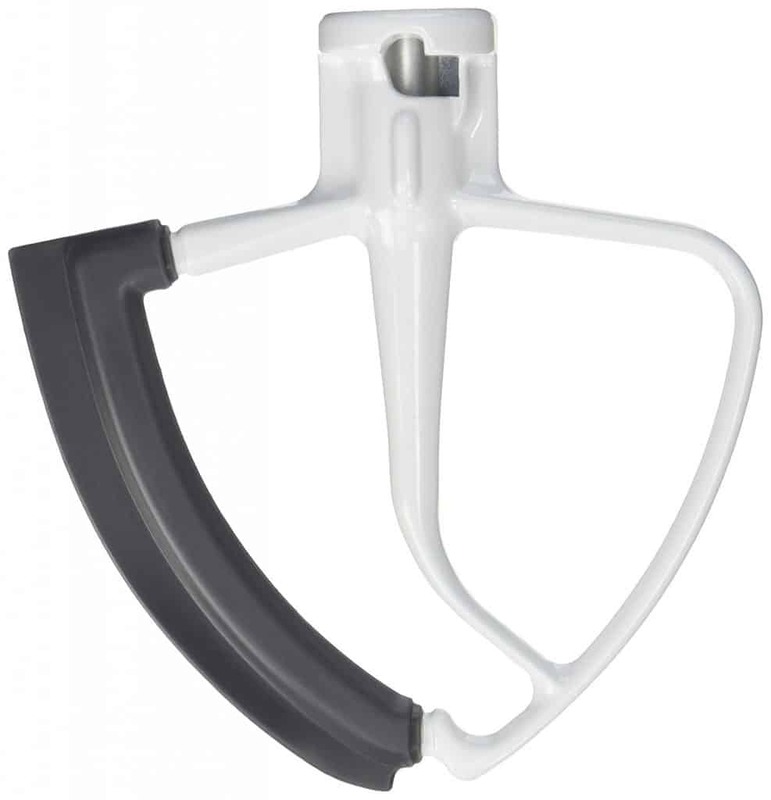 First it’s the flex edge beater attachment. I use the beater attachment for practically everything including cake batter and buttercream. 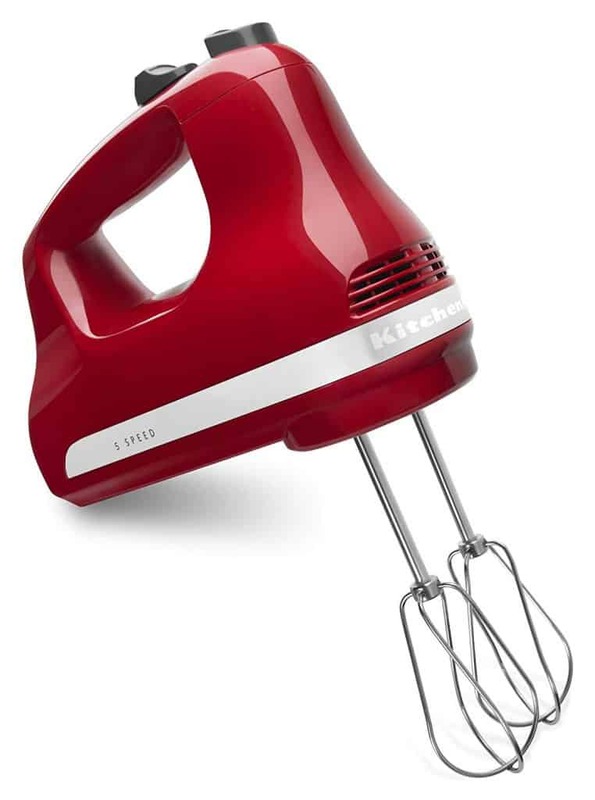 It works better than the whisk attachment because it just doesn’t whip in too much air and doesn’t seem to beat the batter or buttercream to death. I get a much smoother cake batter and buttercream with the beater attachment. 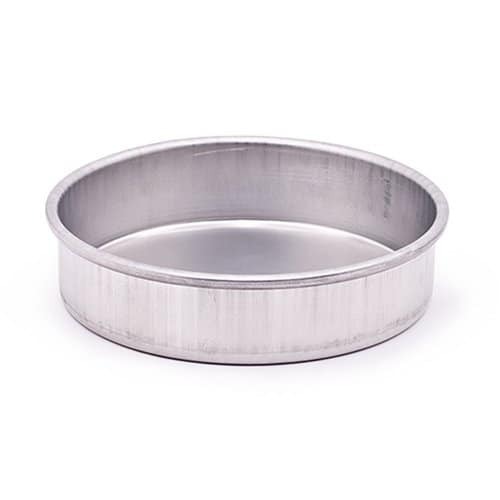 You can get the plain beater attachments, but I like the flex beaters because of that extra rubber piece that comes out and helps get everything off the side of the bowl while beating. 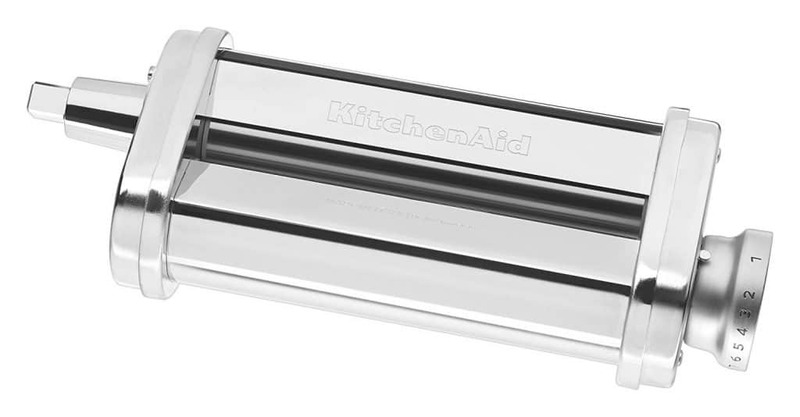 The next attachment you might want to consider is the pasta roller attachment. You want the wide one that does lasagna, not the one that cuts pasta like fettuccine. 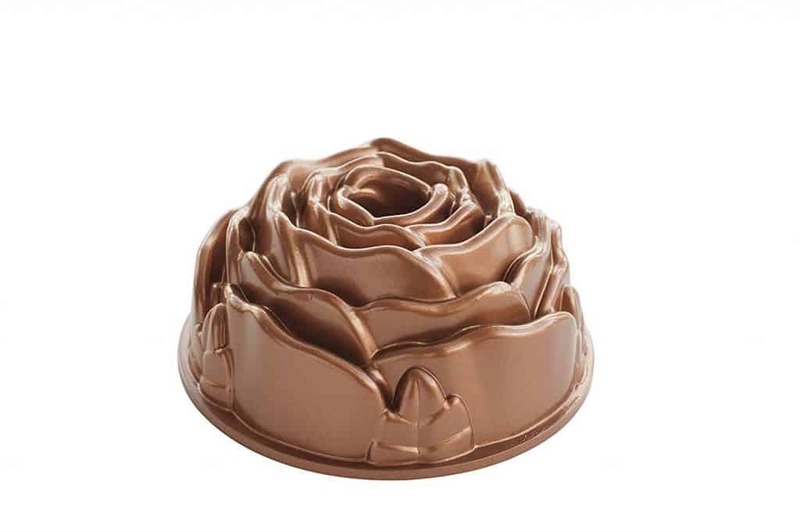 Anyway these are great for rolling out fondant for gumpaste flowers, cupcake toppers and fondant ruffles. 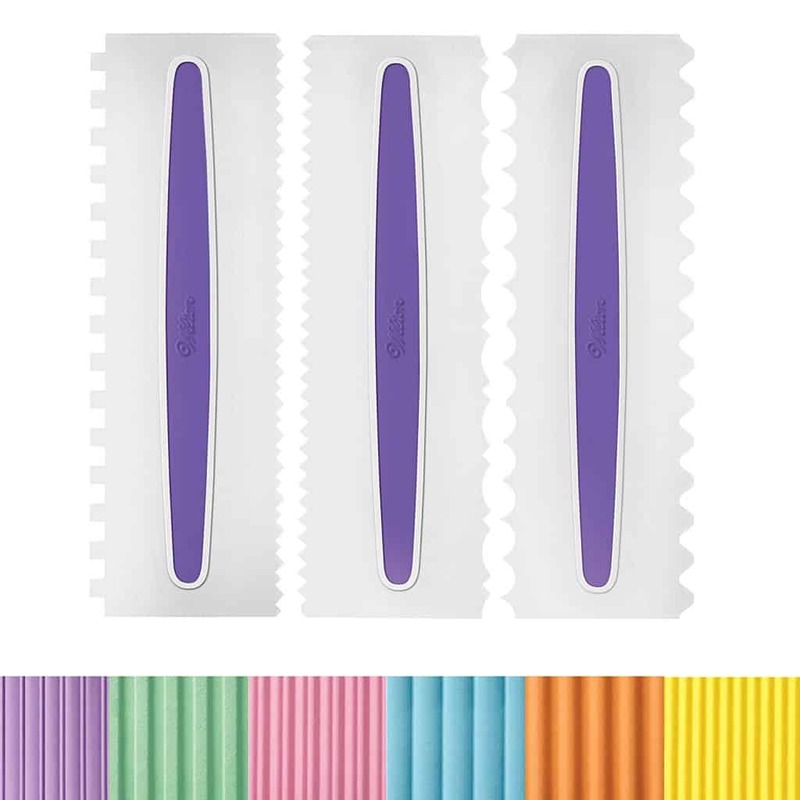 They roll everything out evenly and you can adjust the thickness. 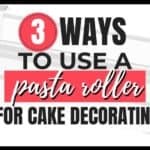 My pasta roller attachment has been a life saver for me and has saved me hours and hours of time. 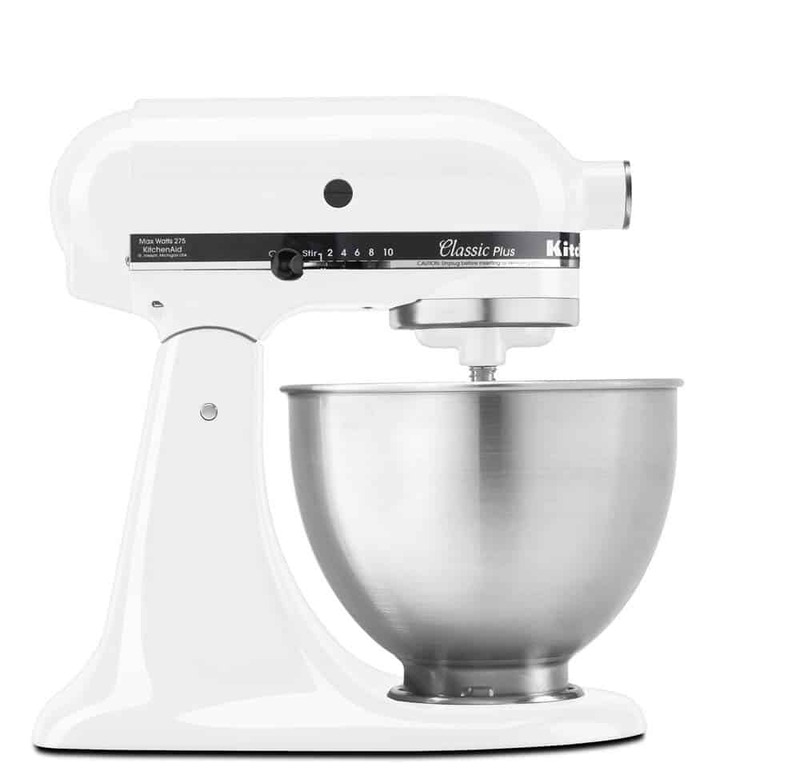 If you don’t want to go all out for the stand mixer, you could go with a nice hand mixer. 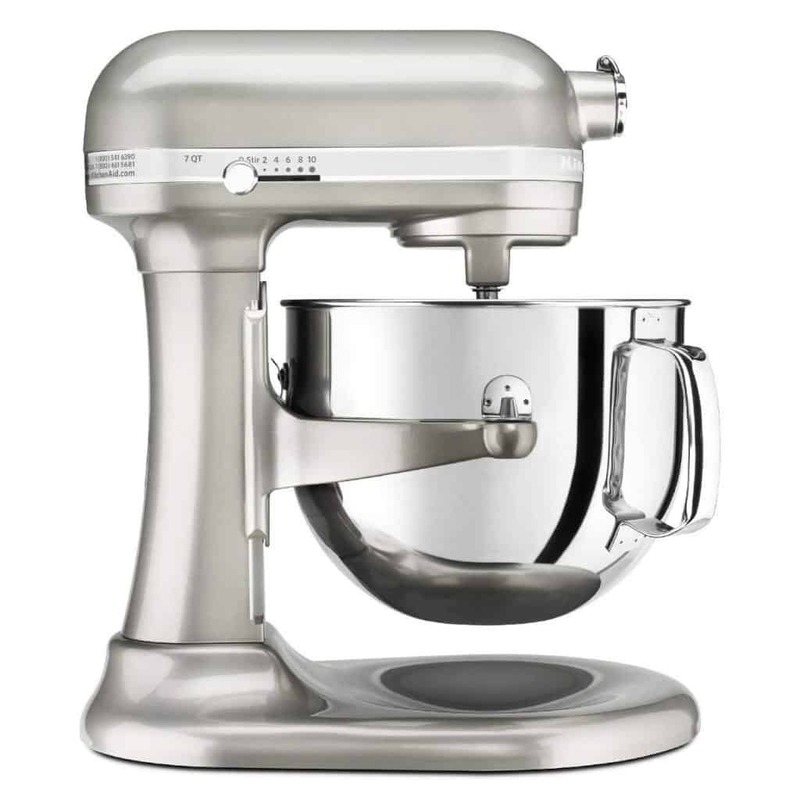 I love my KitchenAid hand mixer and use it just as often as my stand mixer. 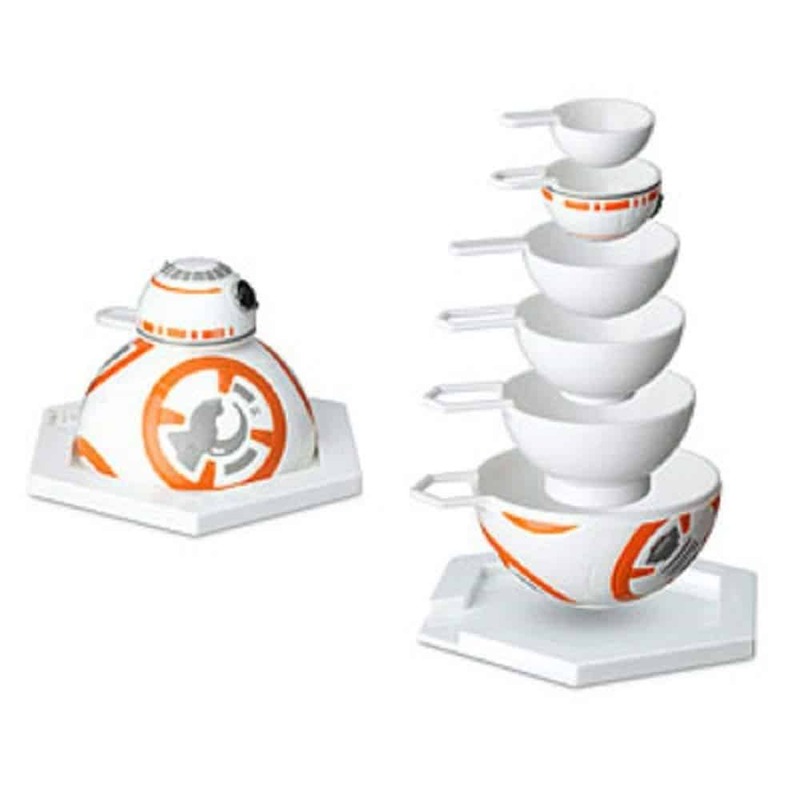 This would be a nice gift coupled with some wooden spoons, a mixing bowl set, dish towels or maybe a couple of cake pans. 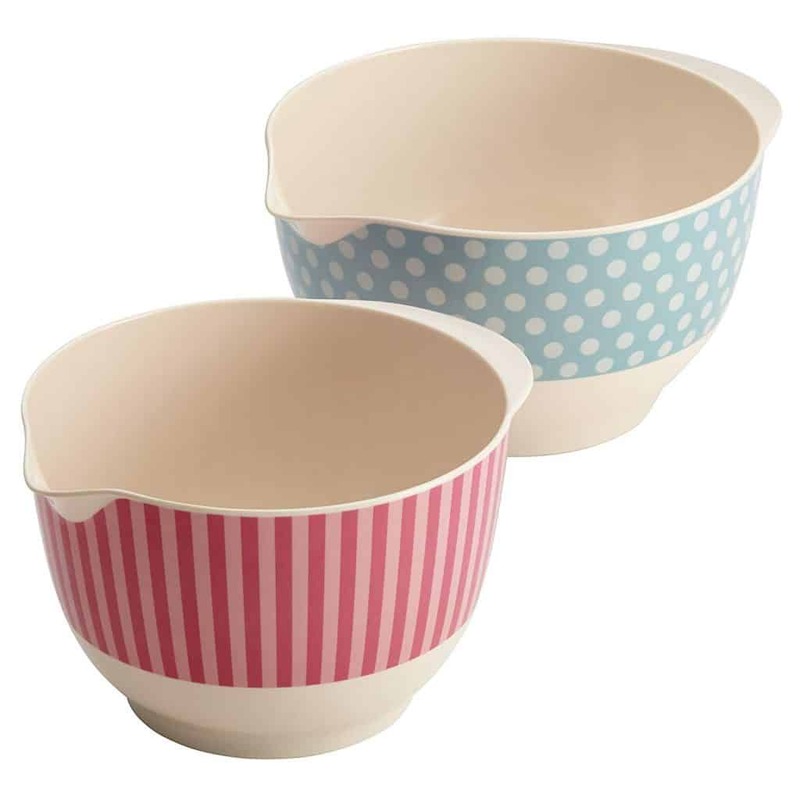 Don’t just go and find your average mixing bowls. 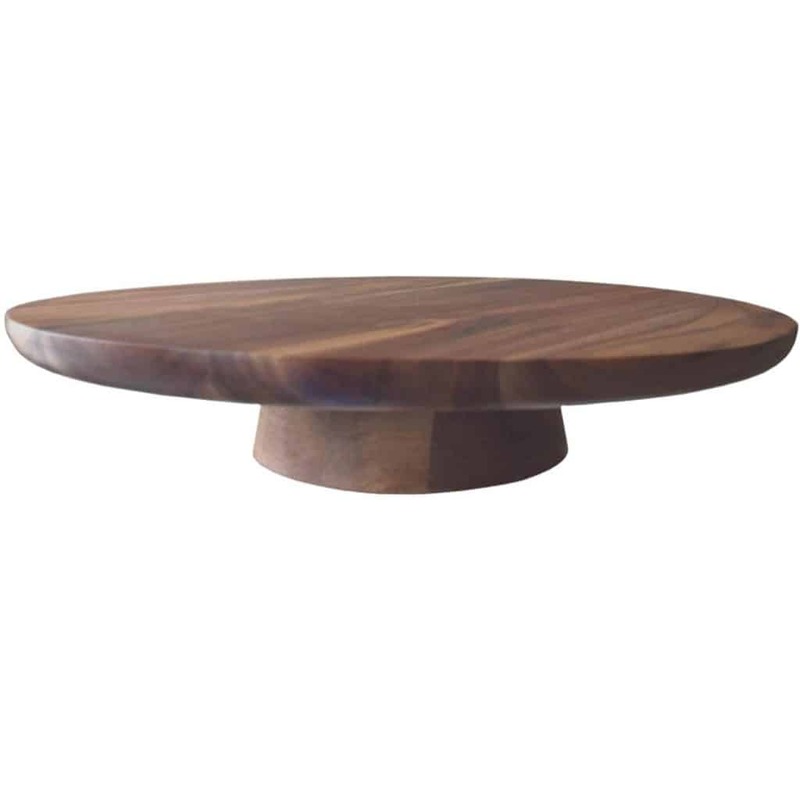 Find a set that’s either beautiful or utilitarian. What I mean is you don’t want to just pick something ordinary. 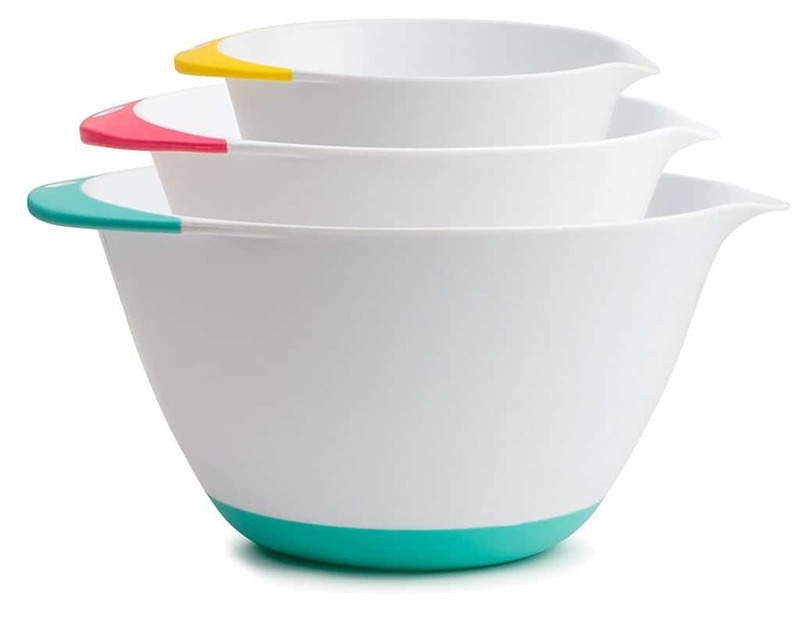 Find something beautiful or whimsical or something that adds a little extra help, like those mixing bowls with the pouring spouts…I love those. 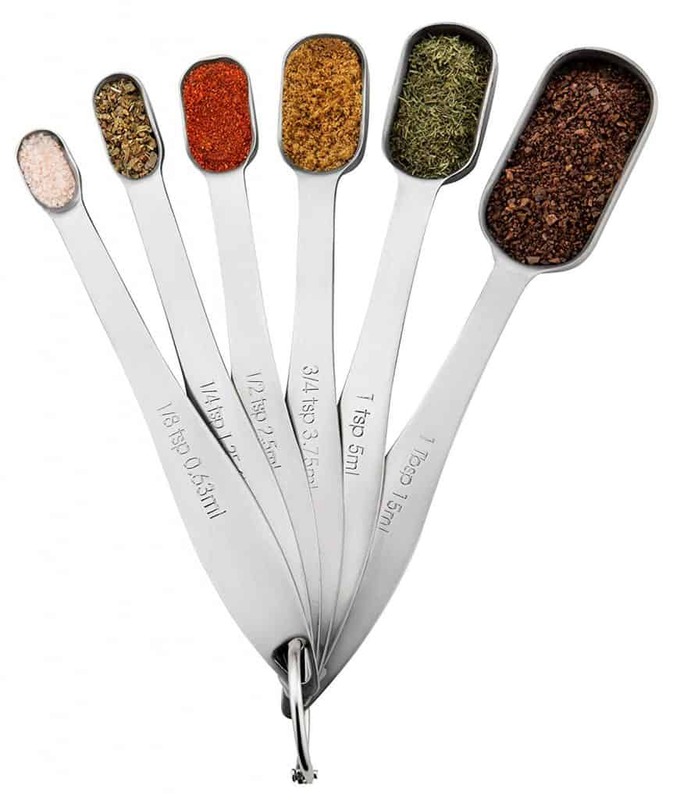 These would be great as a stocking stuffer, a secret Santa gift, or added to a bundt pan or to a set of mixing bowls. 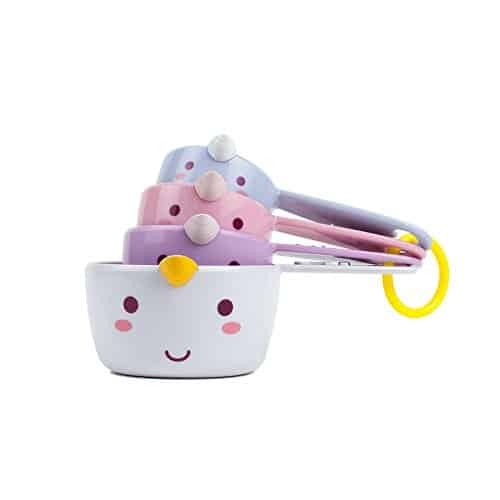 Like the measuring cup set, these would also be great as a stocking stuffer, a small gift for a co-worker, or as part of a larger gift to someone. 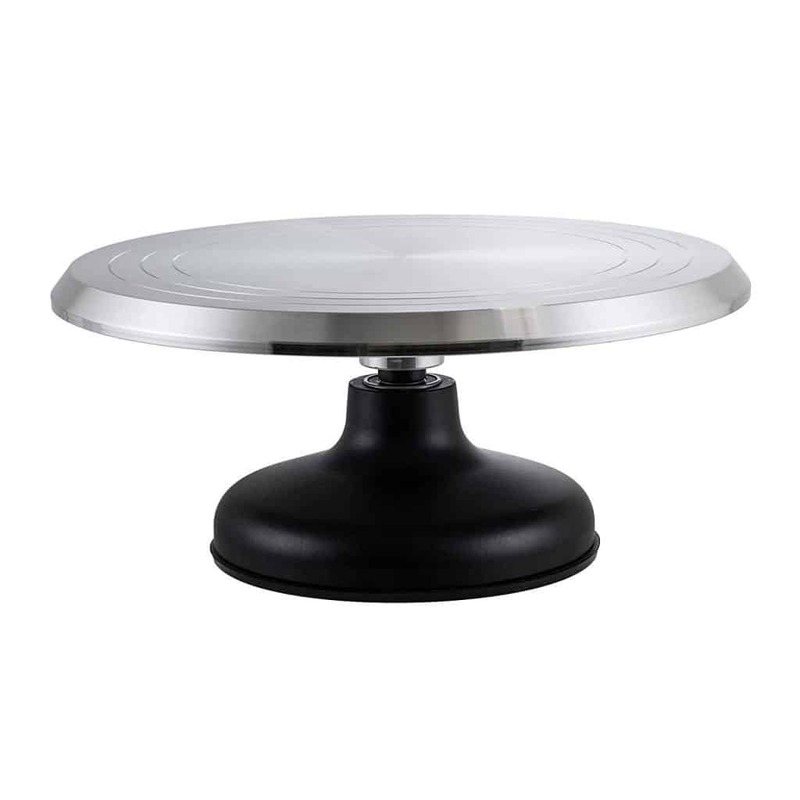 Ok, when I first started out, I used a Wilton turntable. It worked well and I still have it and use it occasionally. 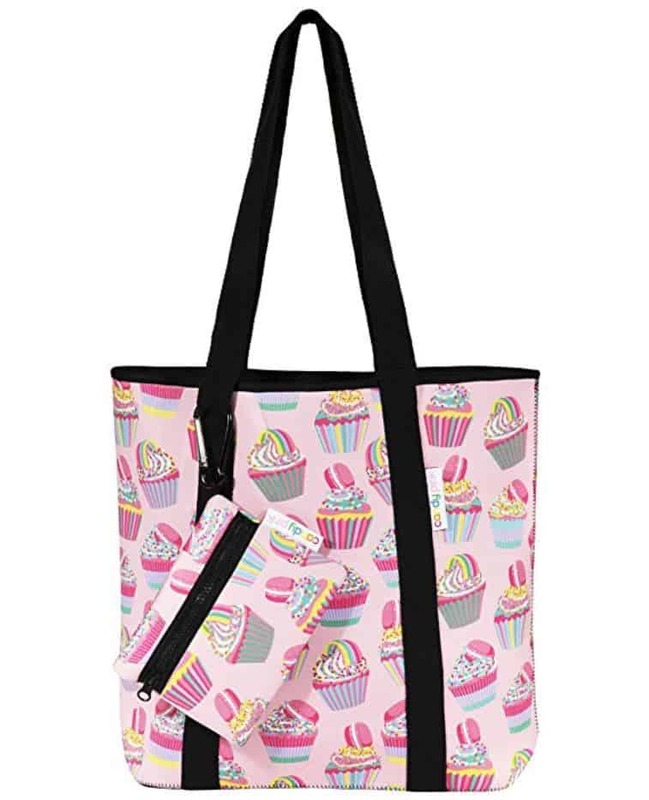 But, when I knew I wanted to do more cakes and get further into cake decorating, I wanted to get an upgrade. I got one of the more heavy duty metal turntables and the spin is much smoother. 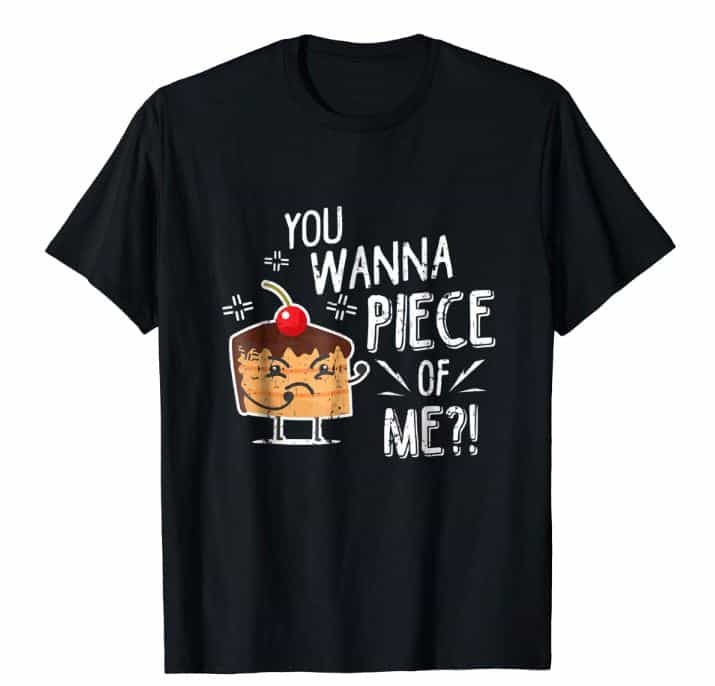 This gift idea is kind of a given. Well at least for me it is. 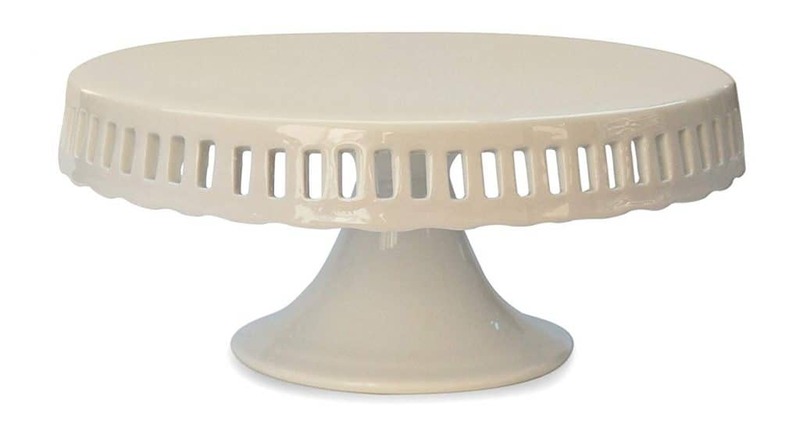 I don’t think I could ever have enough cake stands. 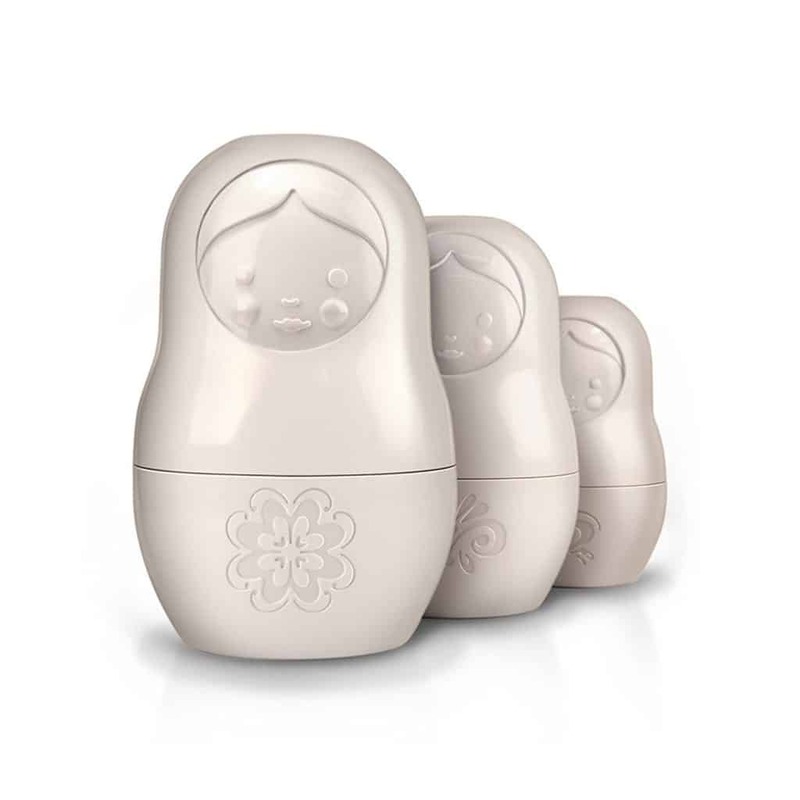 I’ve got tons of them in online wish lists…so many in fact that there’s no way I’ll ever run out of ones that I want to buy. 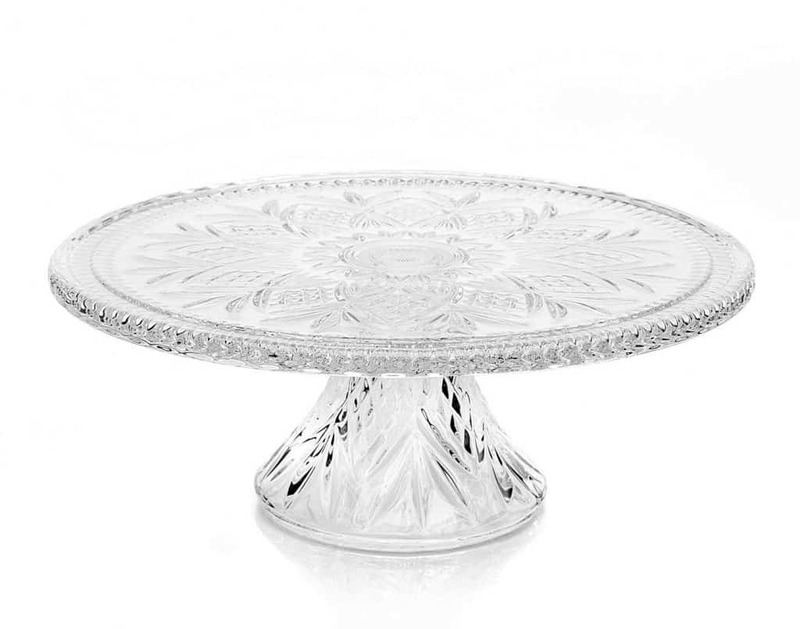 I know, it’s an obsession, but if you or someone you know is a caker, chances are they’d love to get a new cake stand. 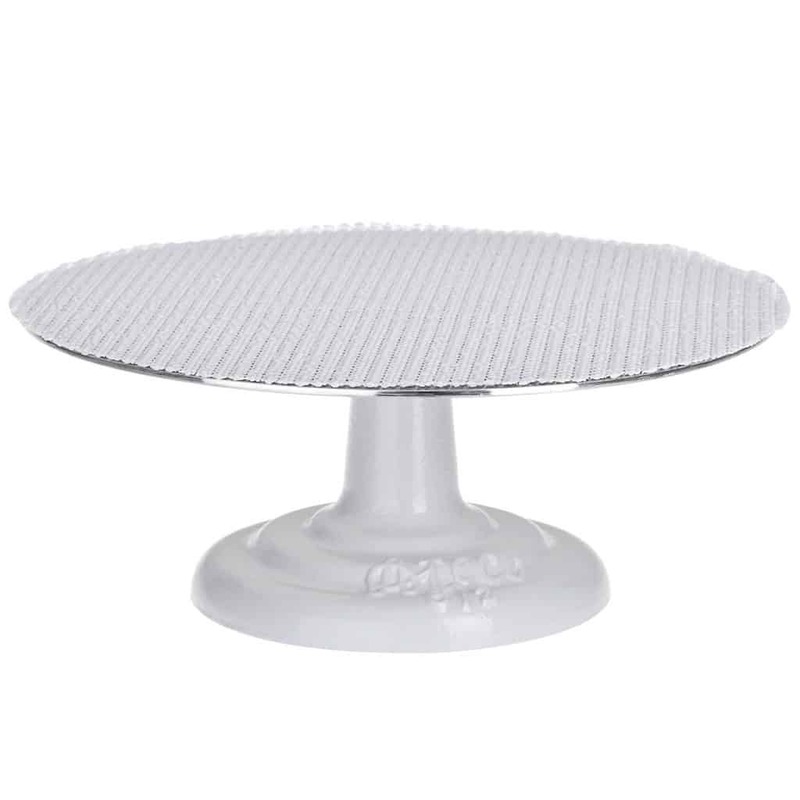 The main thing to remember is that the best cake stands are flat on top. 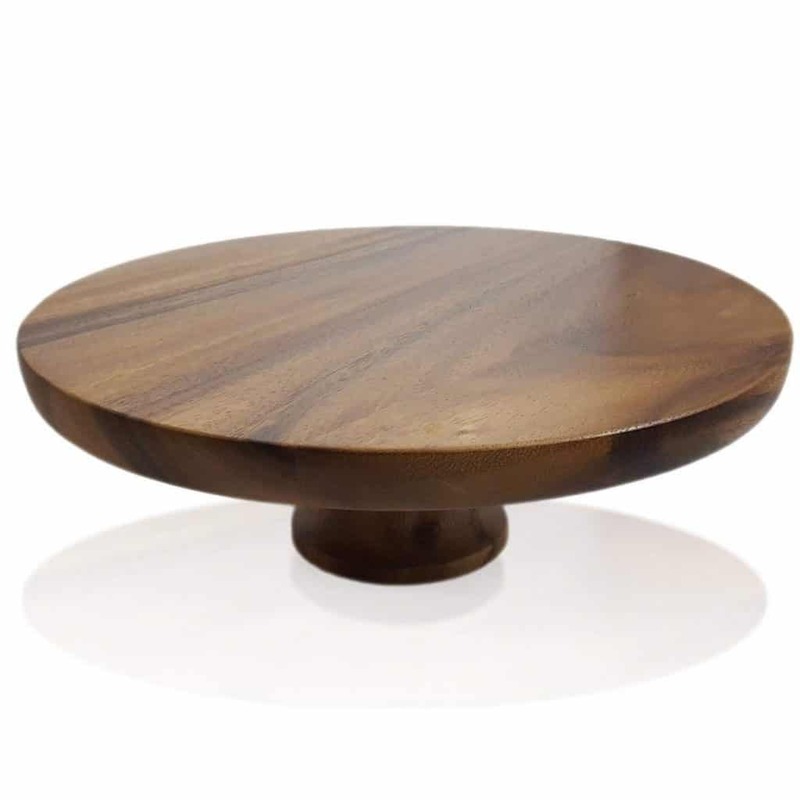 When I do my searches, a lot of times I find cake stands where the top kind of curves and isn’t flat. That can really mess up the look of a cake, so just make sure to check for that. 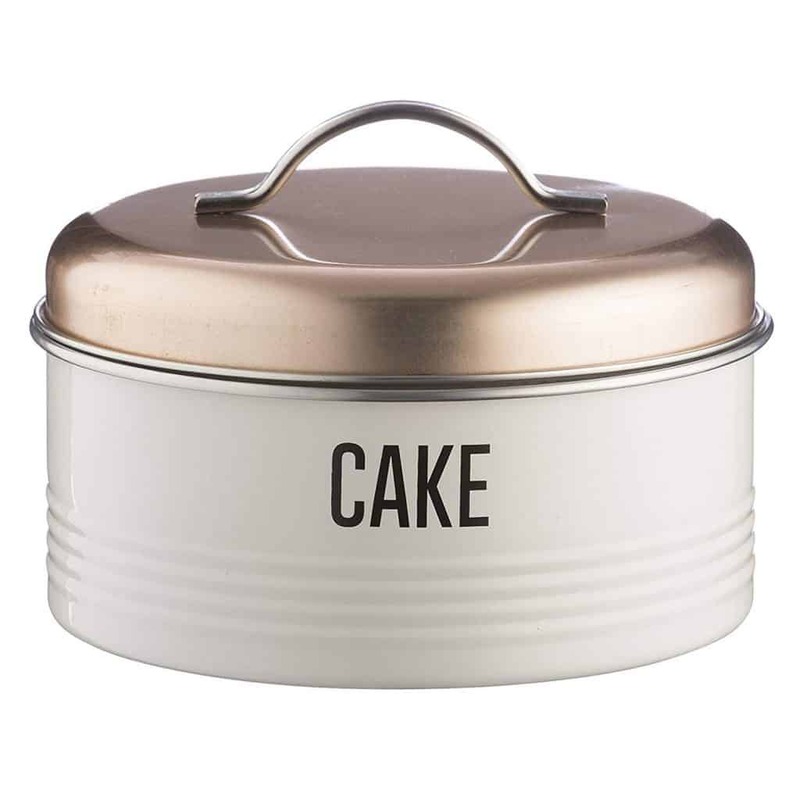 Okay sometimes you don’t need a fancy cake stand, you just want to keep your cake in something cute, so it doesn’t spoil before you can eat it all. That’s when you just need a cake saver. 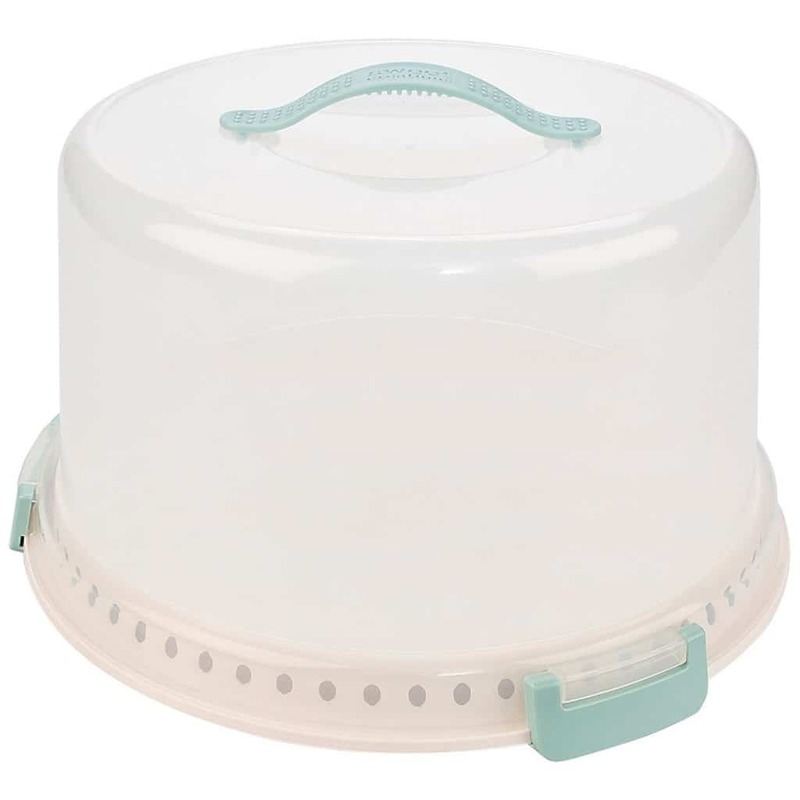 And bonus…if you give the caker in your life a cake saver, maybe that will motivate them to bring you some cake in it! 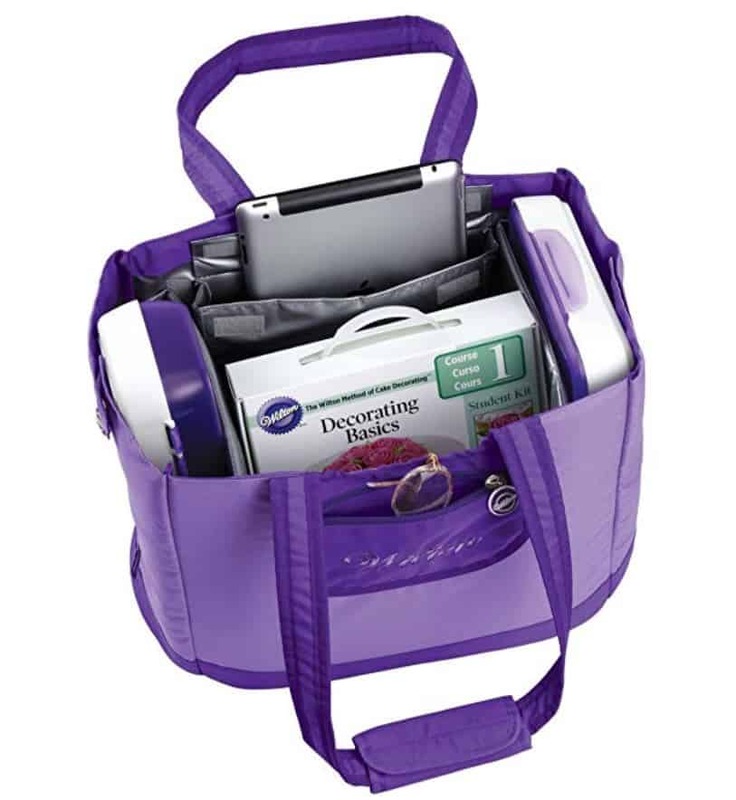 A good idea for gifting one would be to turn the top upside down, so it’s open and fill it with all sorts of baking supplies like measuring spoons and cups, dish towels, baking mixes etc. Then tie a great big bow around all of it. Ok these just make ya feel fancy. 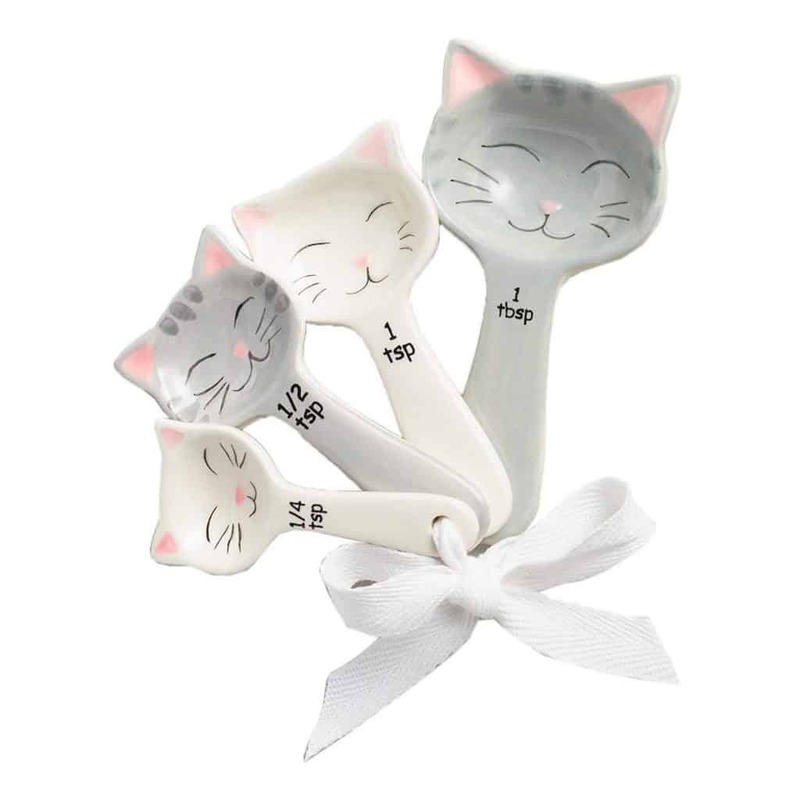 You pop a set of these in a basket along with a set of potholders, wooden spoons and a measuring spoon set, it’s just perfect for the caker. 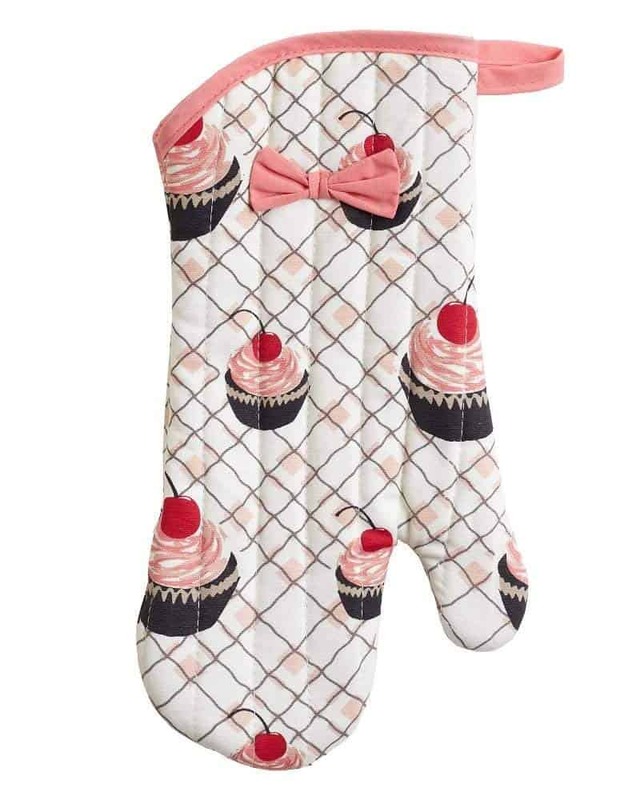 This idea is great especially for the person just sticking their toes into scratch cake baking or cake decorating. (Okay maybe I could have used a better metaphor there, but you get the point.) 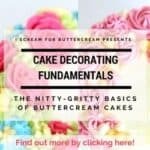 There are tons of good cake decorating books and cake baking books, but I’ll just name a couple I think are really good. 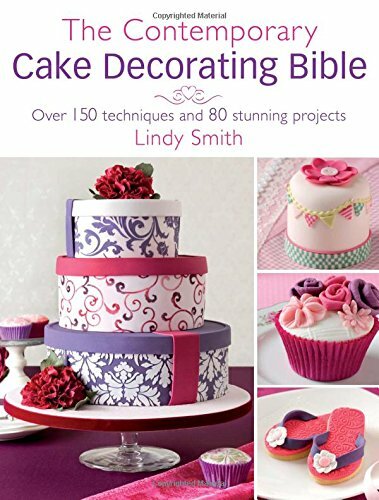 The Contemporary Cake Decorating Bible is FULL of cake decorating tips and is great for those just getting started. 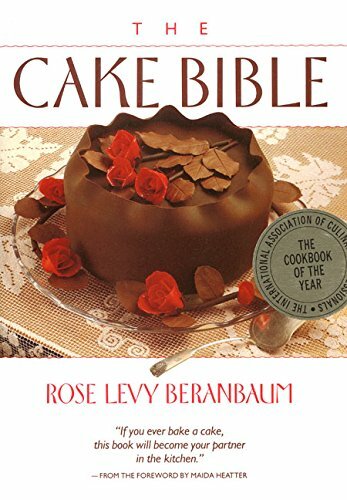 Rose Levy Beranbaum’s Cake Bible is a classic and is great for the baker who really wants to bake from scratch. Ms. Beranbaum is the queen of cakes. 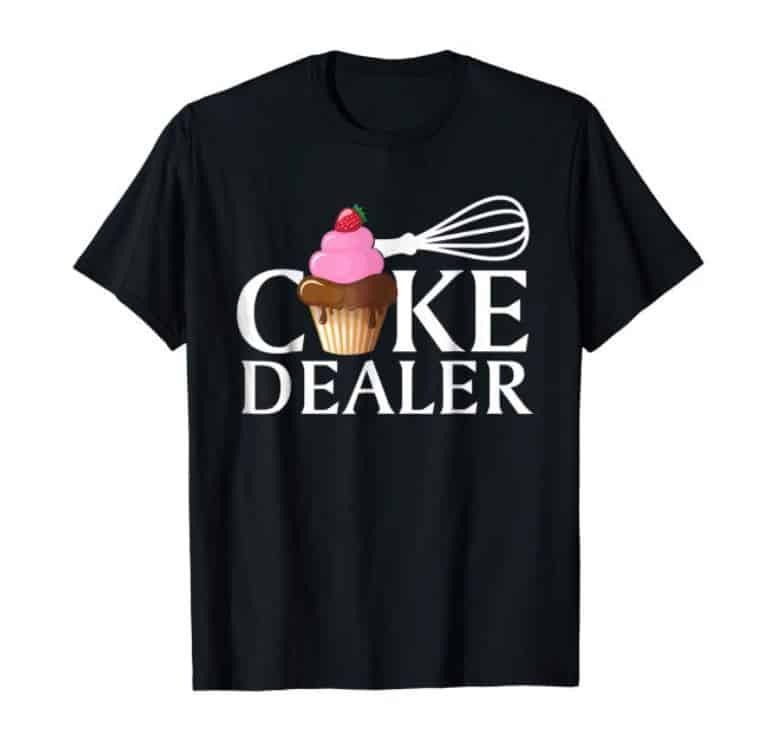 This one would be for a more intermediate cake decorator. 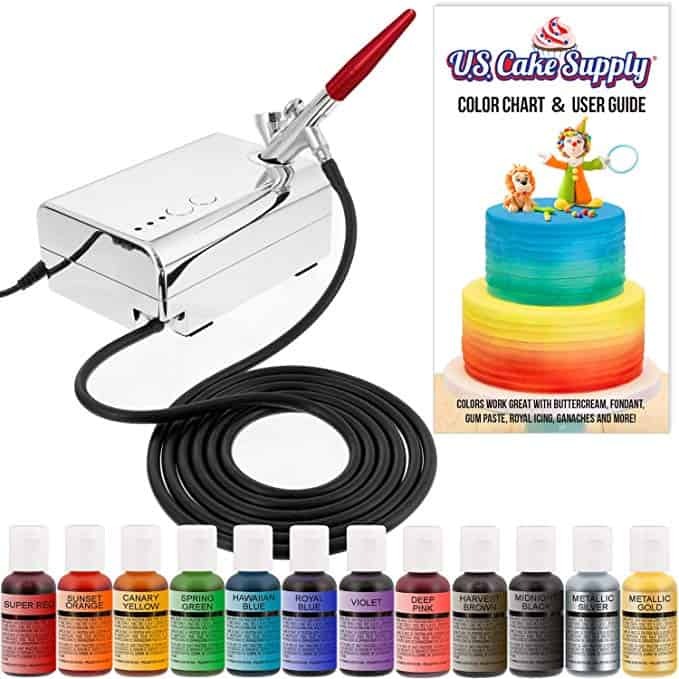 I’m not into the airbrushing thing, but I know many cake decorators are. 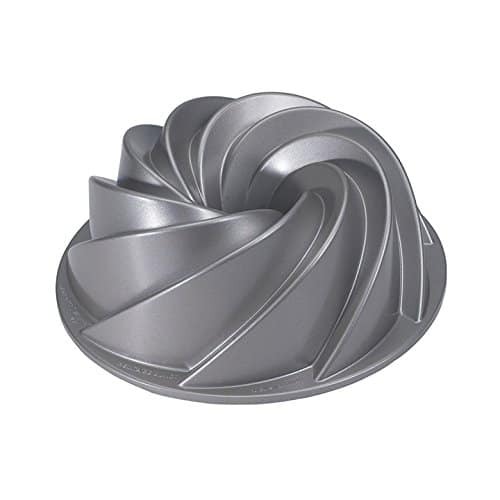 I need to just get myself one and just play with it, but I keep finding other projects I want to do. Airbrushes can create some amazing effects though and can make short work of coloring fondant. 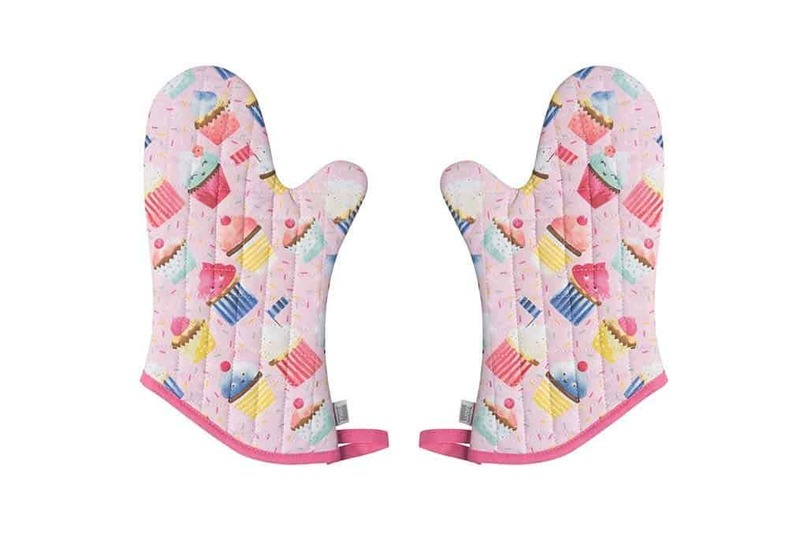 Because who doesn’t want to protect their hands with something cute, right? 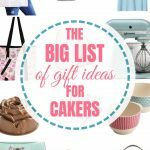 These are great as a secret santa gift for the caker, or combined with some of the other suggestions in this post. 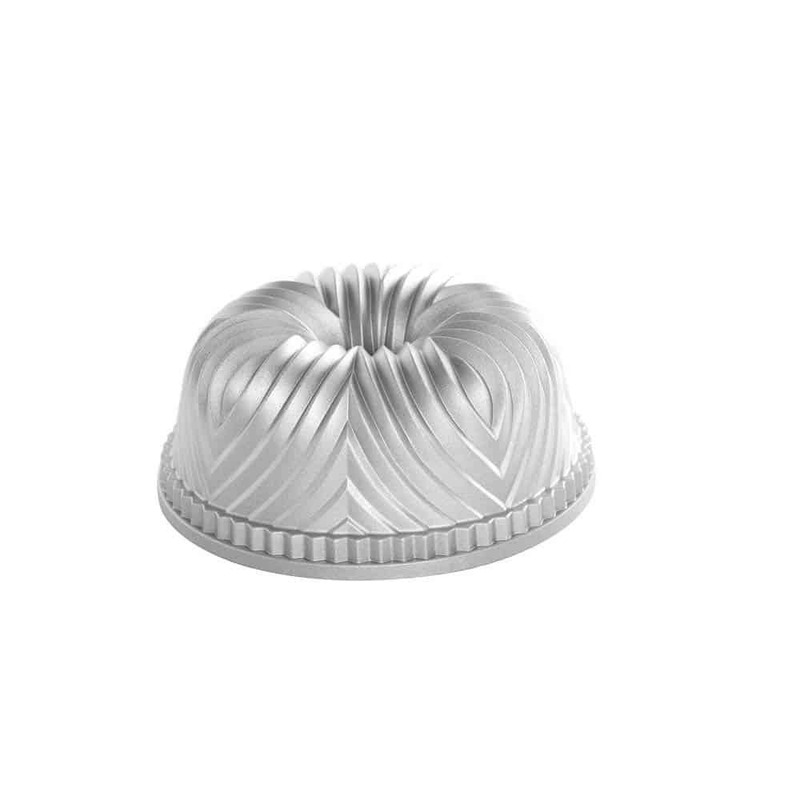 Sometimes you want a little texture in your buttercream and that’s when I turn to icing combs. 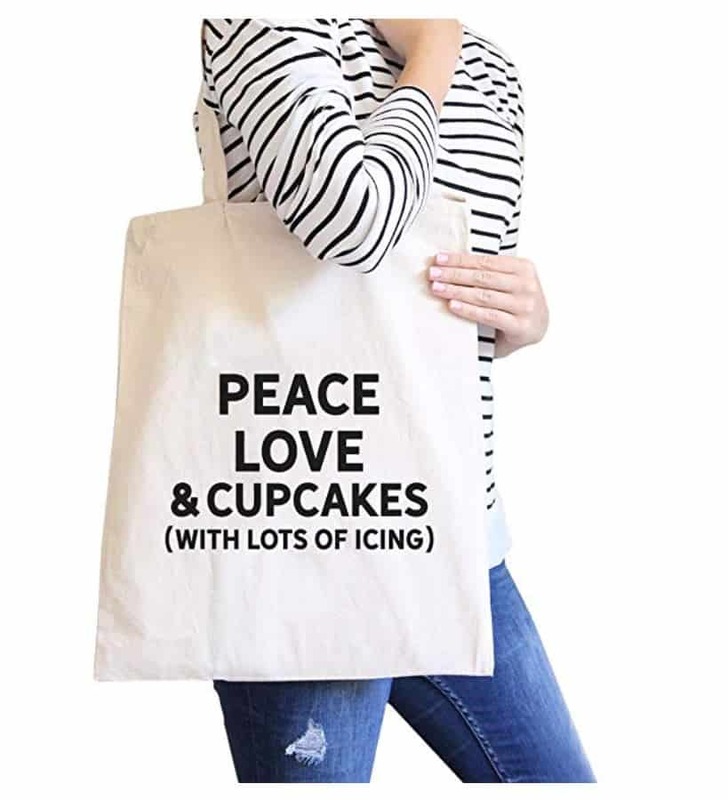 These would make a great gift combined with a couple of icing spatulas and perhaps the Cake Decorator’s Bible book I mentioned earlier. Another great idea for the beginner. 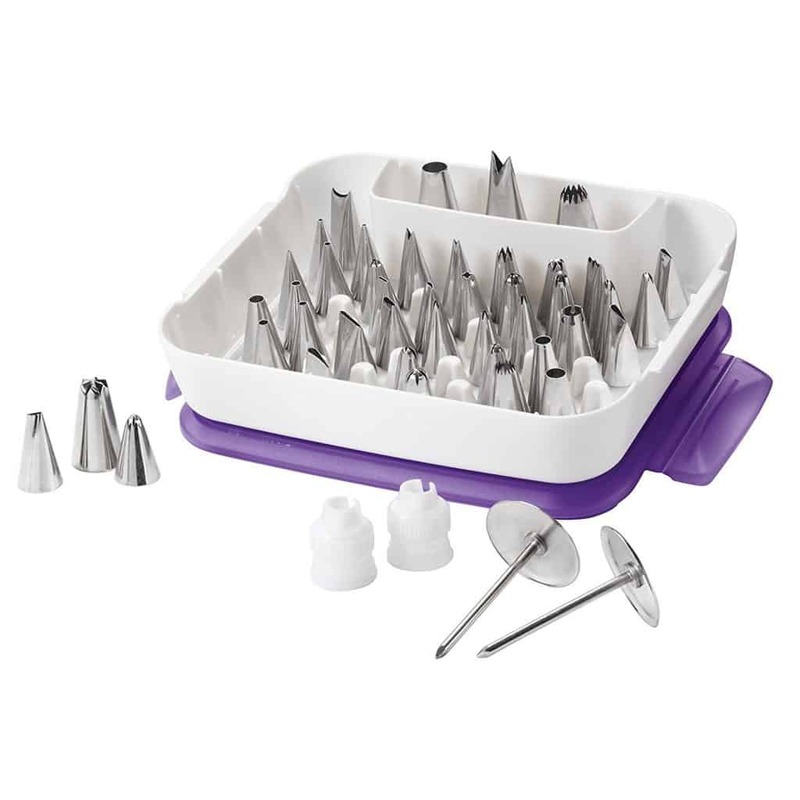 A set of piping tips, an icing comb set, icing spatulas and a book would be a great gift to receive. Alright these are my favorite pans to bake with. 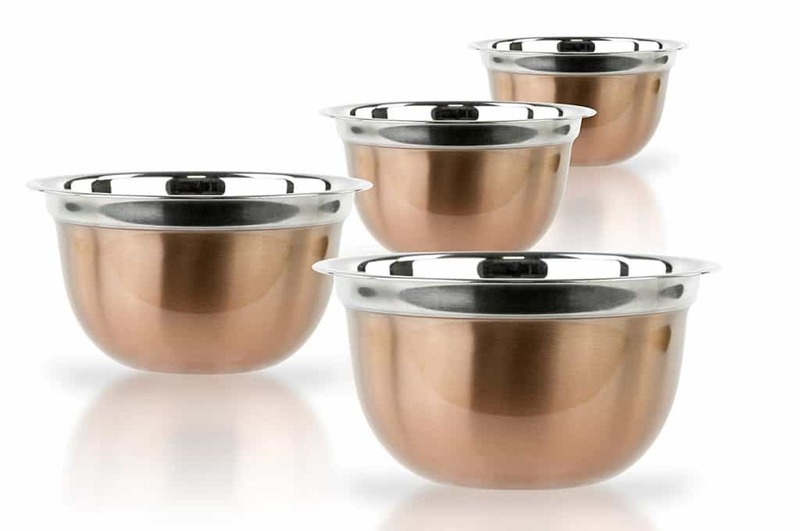 There are cheaper pans and more expensive pans, but I like these. The cake gets good rise and they are baked evenly every time. 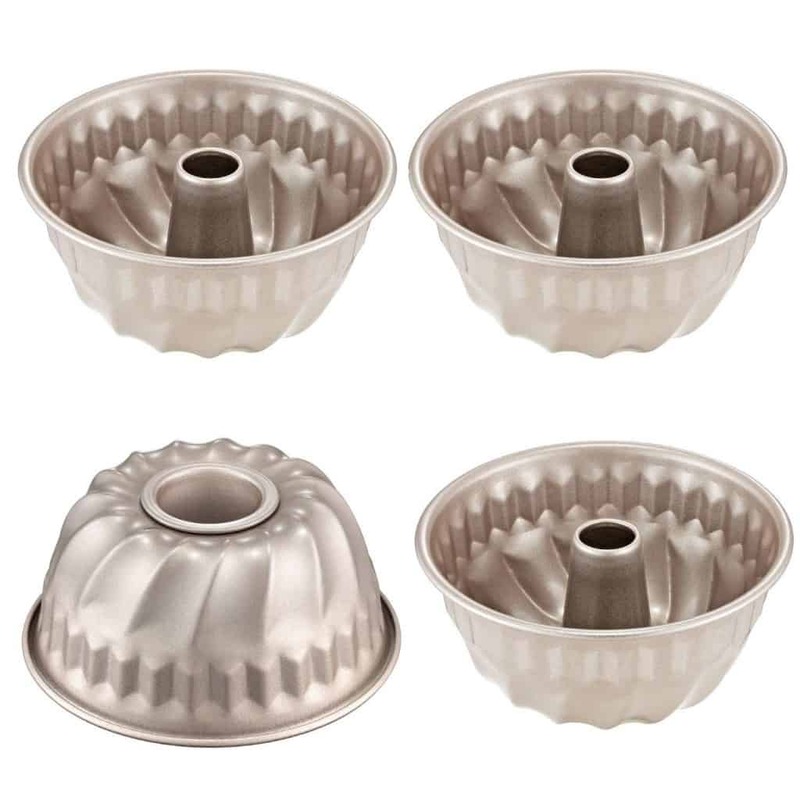 You can definitely tell the difference when using these pans over other cake pans. 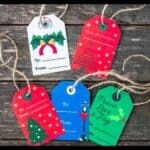 Here are a few more gift ideas. 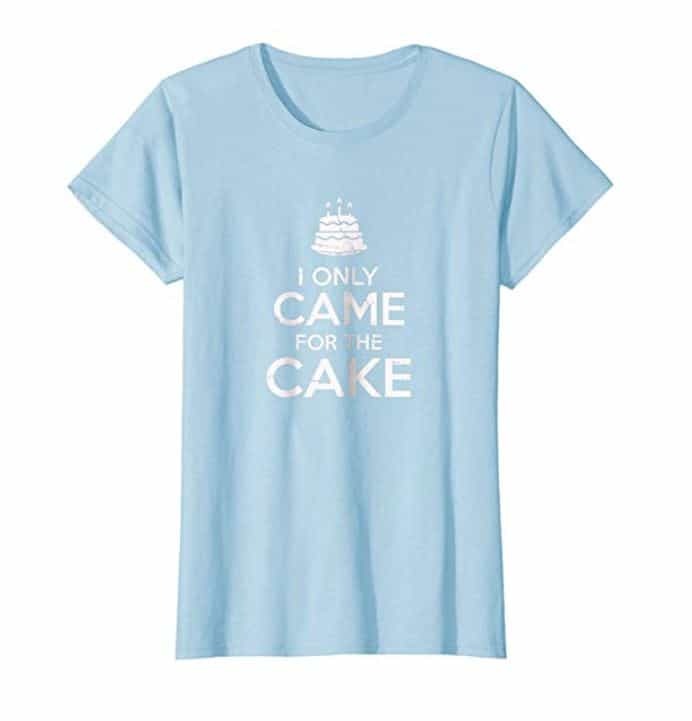 I love a good tote bag (they always come in handy) and I love a funny t-shirt…especially when it’s about cake. Ok I just gave you a lot to think about. 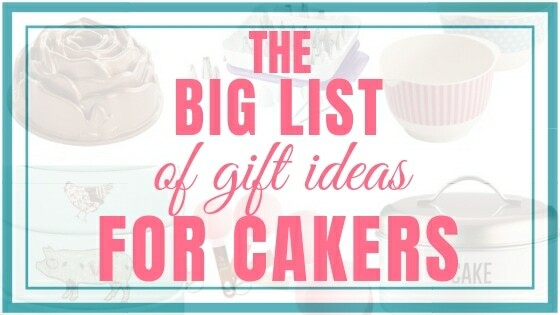 This list actually turned out longer than I thought it would, but I hope I gave you some good ideas for the caker in your life, or even for yourself!